Sketching is a way for artist to make a visual representation of thought, ideas, or mental images. Many artist use sketches to work out their concept, explore compositions, define tonal values, or as a guideline for a finished piece of art. They can also be useful as a warm up exercise or for practicing a new technique. In today’s post, Let’s look at one of our student’s artwork and the process that led to the final outcome. Students will explore a variety of drawing mediums such as pencil, pen, colour pencil, charcoal, crayons, markers and soft pastels. 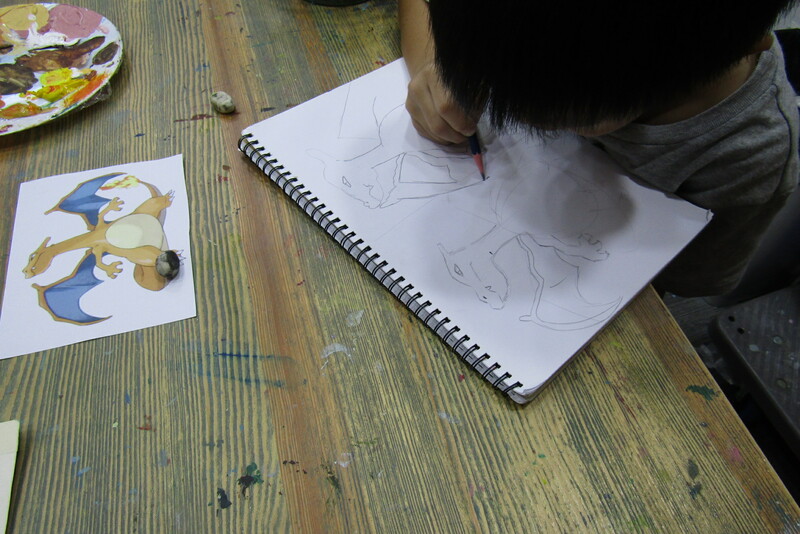 In the sketchbook, the teacher will demonstrate to the student the steps to drawing the subject matter. Firstly, we start off with simple shapes to break down the subject matter into simpler forms. Having guidelines drawn on your reference image may also help with the proportions. Most importantly, remember to draw lightly so any mistakes can easily be erased. Step 2: Defining the Outlines and details. Once they have the basic shapes done, they will then proceed to refining the outlines and creating more details. This could mean adding more marks and lines. Shading the tonal values can help to give more volume to the subject matter to make it look more realistic. This includes paying lots of attention to the dark and light part of the subject matter. For some project, they can include colour pencils to fill the subject matter, making it more colourful. On top of the graphite pencil drawing and colour pencil, the student may fill up the empty background with a light wash of colour and some patterns that goes along with the theme. Viola! After all that hard work, its finally completed. WELL DONE!!! 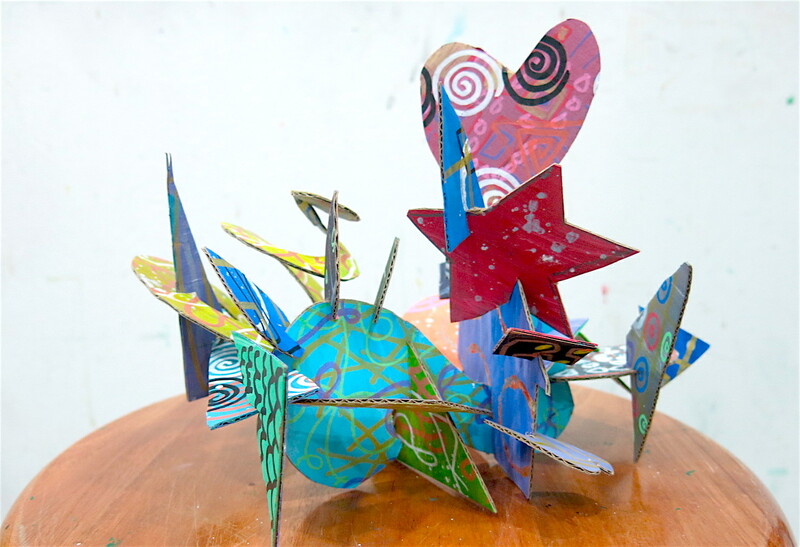 Have a look at Yong Kiat’s process.